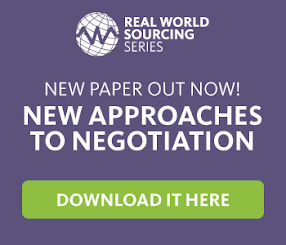 Strategic Sourcing: Executives: Do You Have the Right Resources? Executives: Do You Have the Right Resources? Resources are the lifeline of our business and work places. Technology, talent and processes are all resources and directly influence the outcome or performance achieved. Each has its own intelligence, qualities, maturity and life cycle. At any point in time we can measure the maturity of each, suggest improvements and watch as they become fully developed; topping out a resource to its fullest potential. Maturity, it is said, comes from experience. Each of the three resources we depend upon daily has a maturity level in its current state. It is only with change — education, training, collaboration and innovation — that we see a new knowledge or maturity level evolve. As this evolution occurs, we must review our resources and align the right resources for the short term, longer term and the future. When we look at the rate of change, it can be daunting to think about technology advances in the last 10 years. In 2004 the laptop became the norm rather than the desktop, while in 2010 the iPad was introduced and now tablets in general are poised to overtake laptops and desktops. The rate of change from desktop to tablets was 6-7 years. In 2007 the iPhone was introduced, starting the demise of Blackberry while also setting up the introduction of Android. The rate of change from 2004 to 2007 was just 3 years. Procurement software has also gone through similar changes. 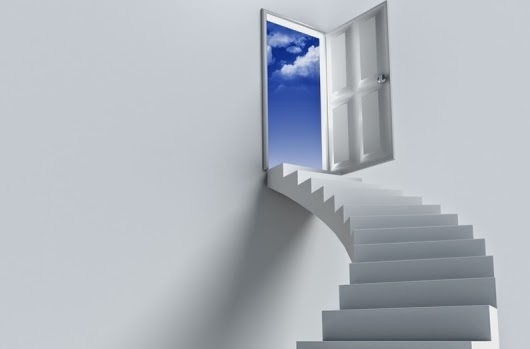 In 2004 procure-to-pay functionality was behind the firewall and on-premise, while some sourcing software was starting to evolve to a cloud application. In the next few years risk management, supplier information management, supplier performance management, and contract management functionality moved to the forefront. Today we find interactive dashboards, analytics and multi-tier visibility are at the vanguard of Procurement software. The point is this: technology is constantly in a state of change and that means we as consumers of it will constantly be learning how to interact with and use it, discovering best practices and deciding how to apply it to our organisation in the best way possible. If the technological resources we interact with every day are changing continuously and at a faster rate, we too will be changing to accommodate them in our way of life. We may no longer need an IT person to simply install our computer, but rather to help us understand how our technological tools can be utilised and provide us improved business process capabilities. This is a shift and causes a shift in our workflow too, as we start to maximise steps in keystrokes, applications and portability. We become more reliant on innovated technology to bring more visibility to many, not just ourselves. This requires collaboration so we can work better across our enterprise. This in itself changes our talent requirements. We now need individuals who can work anywhere, at any time, and across multiple dimensions; simultaneously focused on risk analysis and problem solving across our enterprise, with our customers and constituents and suppliers. Our work becomes more strategic as we learn to work together to bring more value. In a nutshell, our talent pool will continue to evolve based upon our use and application of new technology and changing business requirements. Technology is an enabler to better processes, fewer steps and more visibility. So it is natural our business processes will change as we bring more innovative technologies to our work. While technology enables better processes, our talent pool also needs to set up the right processes to enhance the business and this may be an evolution as we integrate different technologies. For instance, we may only work within our own enterprise right now, but we might find leaner and more productive paths with our suppliers and customers in the future. This type of thinking brings about more change, challenging our technology and service providers to become more innovative and solve our problems of today and the future. Technology, talent and process are the three levers we have to directly affect performance. Their alignment and utilisation now and in the future will ultimately impact our business outcomes – either positively or negatively. If you know where you are now you can plan for your future performance by aligning yourself with the best in all three areas. - What are you going to do to be successful now and in the future? - Do you know where you are now? - Do you know where you are going? - Do you know what will stop you on your journey? - Do you have a plan to execute? - Do you have the levers you need? Germany Vs Housewives: Does the EU know best? Procurement in Scotland – What’s next?